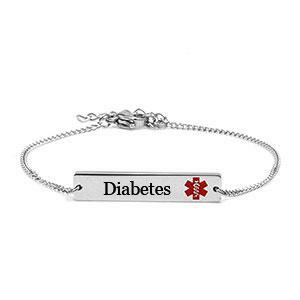 Our "bar style" Stainless Steel Medical ID Bracelet is pre-engraved with Diabetes on the Front of the Medical ID Tag, and includes a red medical symbol. This style also features a lobster clasp closure. Bracelet adjusts to fit wrist sizes 6" to 7-3/4". 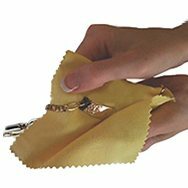 Bracelet can be worn in water, however avoid prolonged exposure to chlorine, acid or other chemicals as they may damage the finish or medical symbol. This laser engraved item not eligible for further discounts.